The oversized Knockerball is here! Jump in, roll around or get strapped in for some total fun. 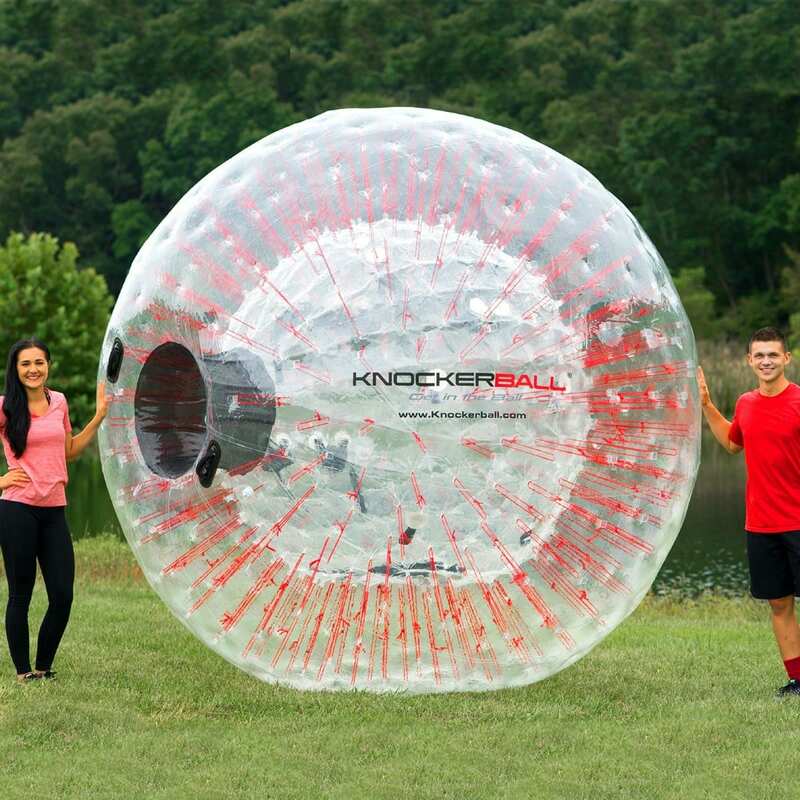 The human hamster ball also known as a zorb is great for any party – it can be used indoors or outside – branded in Knockerball colors, we offer this with red ropes and even your own logo! Our TPU material is lighter and a bit more breathable than our PVC unit but both are great fun.